By 2020 the world will generate in one year more than 10 times the data that exists today. This data explosion promises incredible insights that can increase efficiency, reduce costs, improve satisfaction and much more. However, like most enterprises you cannot consume the data you already have. How can you take advantage of all this new information? BigDataMonkey is your strategic partner with the tools to handle this information onslaught. 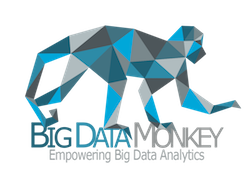 The BigDataMonkey team consists of technology and data experts with years of experience in data warehousing, analytics, big data and enterprise software. We are developing the automated data shaping platform that will make big data accessible and manageable. 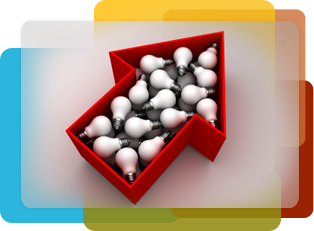 We are Hadoop advocates committed to make Hadoop the best platform for shaping information to be a source of innovation and inspiration. Over half the work of data analysis is in sourcing, preparing and combining data. The challenge is to take inconsistent data in different structures from disparate sources and shape it into consistent, integrated, usable information. As the volume, velocity and variety of data increases, the shaping of data is the bottleneck to insight. As individual enterprises we cannot keep up. We must learn to work together as a community through open source, web based tools and cloud platforms to collaborate on the best methods for shaping data to yield the greatest value. It’s the only way we can get ahead of the data. We need common technology to share and apply these methods so that data can be processed efficiently. Our mission at BigDataMonkey is to be a source of thought leadership delivering the tools and techniques our community needs to handle all this information. Together we can harness the power of the data explosion creating a source of innovation that can improve our enterprises, our community and our lives. © 2017 BigDataMonkey. All Rights Reserved.